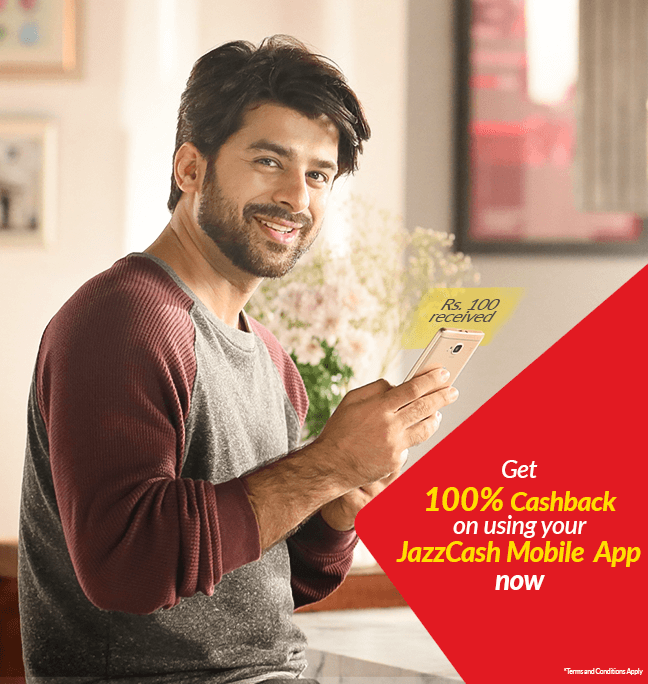 JazzCash brings yet another exciting offer for its Mobile Account customers.JazzCash APP users who conduct a transaction of Mobile load, Bill payment, Money transfer (MA to bank and MA to CNIC) will get a cash back of 100% of their first transaction amount from 18th till 24th February 2019. Maximum cashback amount is PKR 100. Users must conduct a transaction of Mobile load, Bill payment, Money transfer (Ma to bank and MA to CNIC) from their JazzCash Mobile App to get a cashback of 100% of their first transaction amount from 18th till 24th February 2019. Maximum cashback amount is PKR 100. User who have not conducted a transaction after 29th January 2019 on the JazzCash account qualify for the cashback campaign. Users who have received cashback in February 2019 via other campaigns will not qualify for this cashback campaign.